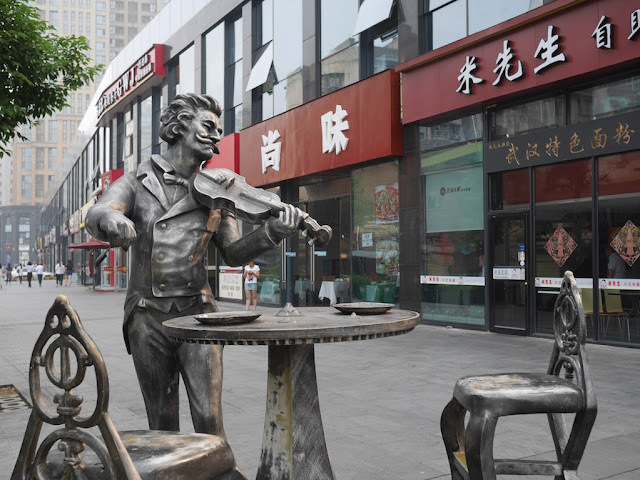 Since I broached the topic of string players yesterday, it is an opportune time to mention two statues of string players I have seen in Changsha. 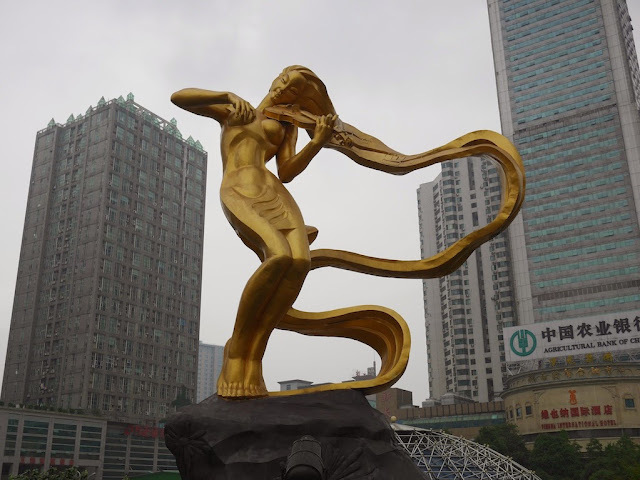 The much larger statue is titled "Liuyang River" and was erected at Furong Square in 2002. The second statue is at the back of the Kaifu Wanda Plaza shopping center. I didn't see a name for it. Both statues caught my eye since the violinists are missing their bows, which would make it rather hard for them to make music given their arm positions. Additionally, the larger violin had no strings and the smaller violin had broken strings. That said, just being statues is a rather significant obstacle to overcome in itself. I can't rule out artistic motivations, but I assume the bows are missing for pragmatic reasons. It doesn't feel the same without a bow though. 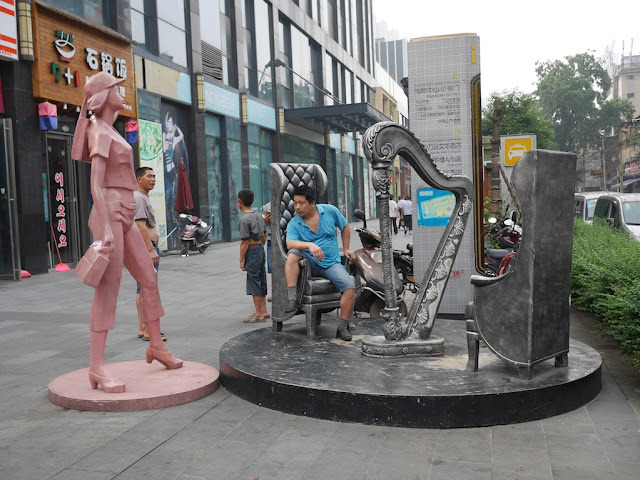 Also behind Kaifu Wanda Plaza is a statue sculpture of a stringless harp. It shows signs it once had strings or something to represent strings. Given the number of people interested in having themselves photographed interacting with it and the nearby violinist statue, I can't say I am surprised by their current state. Added note: No, the man in the chair is not posing for a photograph. He is simply taking advantage of a place to sit — a common sight for the times I have passed by.